As of January 2019, Newfoundland and Labrador will have in place a carbon tax. This is a mechanism that puts a price on pollution, and one that will increase on an annual basis at least up to the year 2022. The pressure to reduce greenhouse gas emissions is international in scale, and is likely to be a fixture in the global economy for many years to come. What does this mean for businesses in Newfoundland and Labrador where electricity prices are also expected to rise as Muskrat Falls comes online? How can businesses adapt and succeed in the lower-carbon economy? This innovative course includes both classroom and tailored 1-on-1 learning, and equips owners, managers, and professionals in Newfoundland and Labrador’s private sector with the skills to identify opportunities within their business to address rising fuel and electricity costs. This course is open to businesses of all sizes in all sectors. In this 3-hour in-class workshop, the trainer will provide a high-level overview of the typical factors that can influence electricity and fuel costs within business, and general examples of how these challenges can be overcome. You will learn about the relationship between energy and carbon, including an introduction to the theory behind carbon pricing, simple tools to help you assess your business’ carbon footprint, and how to plan for cost savings. You will learn to distinguish between (1) the various provincial regulations impacting business, and (2) the mechanisms available to assist you in mitigating that impact (e.g. programming, carbon offsets, etc). 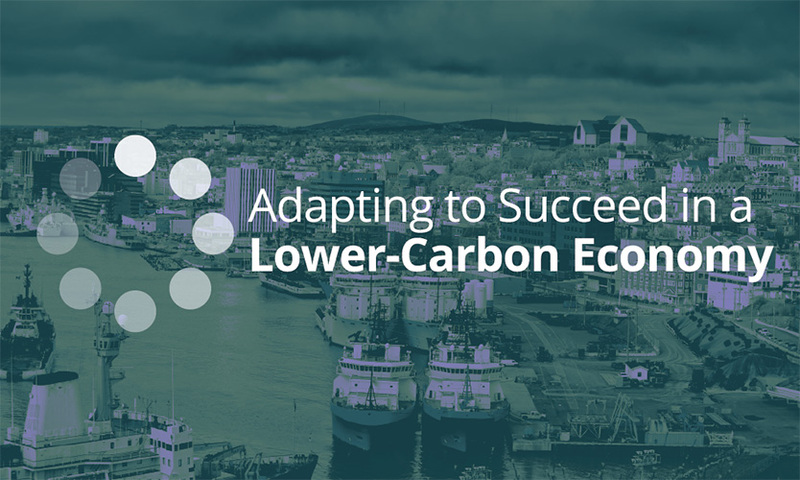 * Course material is designed specifically for the Newfoundland and Labrador context, where the challenges and opportunities associated with the lower-carbon economy differ significantly from other Canadian jurisdictions. Following the workshop, the trainer will schedule a site-visit with you to learn more about your specific work environment to understand the specific activities and processes of your firm. The trainer will assess the information obtained from the site visit to provide the trainee with a high-level list of potential actions the business could consider undertaking to to reduce electricity and fuel use. These suggestions will be specific to your business operations, and indicate where investigation may be warranted to assess cost-savings potential and payback periods where applicable. In addition, the trainer will provide the trainee with a list of available programming that could assist and/or support the pursuit of identified opportunities. Fundamental Inc. helps firms understand and effectively exploit energy efficiency and carbon emissions reductions and the associated potential for cost savings. With services including consulting, solution generation, reporting, and design, Fundamental Inc. assembles strategies that lead to real-world improvements through a process that evaluates current conditions, and assesses the costs, savings, cost-effectiveness, and market opportunities for implementing energy and emissions-reductions focused solutions. Owner and Director of Fundamental Inc., Ashley Smith, has a Bachelor’s degree in Environmental Science and Chemistry, a Master’s degree in Civil Engineering, LEED Accreditation, and 14 years’ experience in building design, community planning, and construction project management. Her background covers ecology and genetics, organic chemistry, civil engineering, town planning, urban design, building design, and project management. This combination of education and professional experience gives Ashley a unique and comprehensive approach to design, construction and problem solving.